Today’s question: Who is your favorite Catholic author? 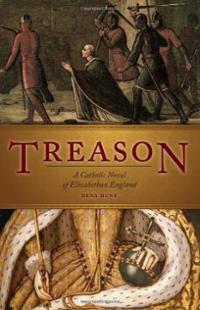 My favorite Catholic author is Dena Hunt, author of Treason and The Lion’s Heart. Her writing is exquisite, her stories are rich and compelling, and her characters are flesh and blood believable. I’ve been busy with my Virtual Book Tour, answering interview questions about my new book and “visiting” other blogs. The blogs I visited this past week are listed in the 7QT post below. My publishing company is sponsoring a huge giveaway! If you’d like to win print copies of all my books, head on over to Catholic Mom and enter before April 4th! 7 Quick Takes Friday – Virtual Book Tour Links! I’m thankful to the 21 bloggers who offered to host me during my virtual book tour for A Subtle Grace!! The following are those who have graciously posted about my new book this past week with either reviews, an interview or information. To see the complete list of stops, click here. Today I’m joining with other Catholic bloggers at Conversion Diary for 7 Quick Takes Friday. Thank you, Therese, for this wonderful review of A Subtle Grace!! Sarah, I appreciate your wonderful post and interview! Dana at Catholic Working Mom posted yesterday about A Subtle Grace. Many thanks, Dana! Today Christina Weigand is hosting me over at the Dragon’s Lair. Thank you, Chris! I’m also over at the CWG Blog today talking about my new book! If you want a print copy, I highly recommend you head over to Goodreads and enter the contest to win one of ten copies of A Subtle Grace!! LTO: $5 OFF COUPON CODE to order the book directly from the printer. If you’re interested, please either email me: fullquiverpublishing(at)gmail.com or leave a comment below and I will email you the code!! Please join me and other Catholic bloggers at RAnn’s Place for Sunday Snippets where we share posts from the previous week and answer a weekly question. Question of the Week: How often do you go to confession? Do you have a regular confessor or do you go to different priests? I try to go to confession every three to four weeks or more, if I can. I usually go to our parish priest. My new book, A Subtle Grace, is now available on Kindle!!! Print edition coming this week!! 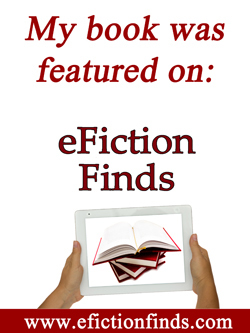 7 Quick Takes Friday – Book News I’m offering a free Kindle copy of my new book. Please comment at the 7QT post before Monday to enter! 7 Quick Takes Friday – Book News Etc. Please join me and other Catholic bloggers at Conversion Diary for 7 Quick Takes Friday. I’ve been light on blogging of late trying to get both the Kindle edition and print edition ready for publication. One down, one to go! My new book is now available via Kindle. Want a copy? Just leave a comment below before Monday, March 24th. I’m giving away one FREE Kindle copy of A Subtle Grace. The Print Edition of A Subtle Grace will be published in about ten days and I will be giving away free copies here on my blog. Stay tuned. 4. Happy Anniversary, Holy Father! It’s now been one year since Pope Francis became the Holy Father. Happy Anniversary, Holy Father! Can you please pray for a couple of special intentions I have? Thank you! This week’s question: What is your favorite movie? That’s a toss up: Gone with the Wind and West Side Story are probably tied for my favorite movie. This past week, I completed seven income tax returns (for family members). As well, I’m frantically trying to finish formatting and editing the print edition of my new book, A Subtle Grace. Today, I worked on formatting the Kindle edition, which should be live on March 22nd. March 25: Print Edition Available! I’m connecting with other bloggers at Conversion Diary for 7 Quick Takes Friday. Come check out the other bloggers! These will be super quick takes since I’m working on the print edition of A Subtle Grace as well as the Kindle edition and finishing three other deadlines. My third novel, Stealing Jenny, just received its 300th Amazon review this past week (I believe it’s up to 307 reviews)! It was a bonus that the review was positive! So where is spring? Up here in Ontario, this is the start of spring break, but we still have high piles of snow everywhere. Have you read “Treason” by Dena Hunt yet? It’s an outstanding read and may even strengthen your Catholic faith. I devoured this book in just under a day. For me, it was like literary candy. I’m still on track for releasing the print edition of my new book on or about April 6th. The final (I hope) proofs should arrive late next week. The Kindle edition is still on track for a March 22nd release. I’d like to dedicate this cartoon to St. Anthony who came through for me TWO times in the past few weeks. St. Anthony, you’re the best! Question of the week: What are your plans for Lent? I’ve made it a tradition to de-clutter during Lent: drawers, storage area, closets. I’ve already started doing this, even though Lent hasn’t begun yet. I also give up the usual treats as well. 7 Quick Takes Friday – More Book News Etc.